The nature and the extent of medical and dental problems among CLP patients, dictate the need toward inter-disciplinary approach where different medical and dental specialists are involved in the treatment. 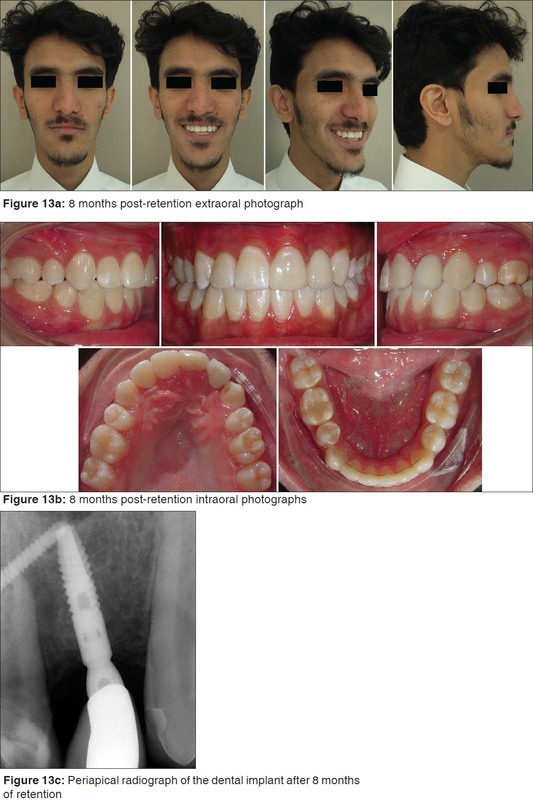 This case report describes a comprehensive dental treatment of a young adult male patient with a history of surgical repair of unilateral CLP with, a severe upper and lower crowding and missing upper lateral incisor. A 17-year-old male patient presented with a chief complaint of "unpleasant appearance of teeth." He had a history of unilateral CLP on the left side. He had lip repair done when he was 2 months old, palatal closure at age of 10 months and lip revision when he was 6 year-old. Patient had asymmetrical face, straight profile, competent lips and retruded upper lip with a scar on the left side. He had an average nasolabial angle, average lower anterior facial height with normal incisor show during smiling. The upper dental midline was shifted 2 mm to the left relative to the facial midline [Figure 1]. Intraoral examination showed generalized marginal gingivitis and the scar of the repaired cleft palate and alveolus in the upper left side with no signs of oronasal fistula, generalized decalcification of the dentition [Figure 2]. Cast analysis showed that all permanent teeth were present up to the second molars except the upper left lateral incisor, which was congenitally missing. The upper arch was constricted anteriorly with 7 mm crowding (counting for the missing lateral incisor) and "omega" shaped lower arch with 16 mm of crowding. Dentally, the patent had a full cusp Class III molar relationship on the right, a quarter cusp Class III molar relationship on the left, a half cusp Class II canine relationship on the right and a full cusp Class II canine relationship. Patient had 3 mm overjet, 50% overbite and crossbite of maxillary right lateral incisor and first premolar. The lower midline was shifted 2 mm to the right in relation to the upper midline. Patient had 5.5 mm Bolton discrepancy manifested as maxillary anterior tooth size deficiency [Figure 3]. 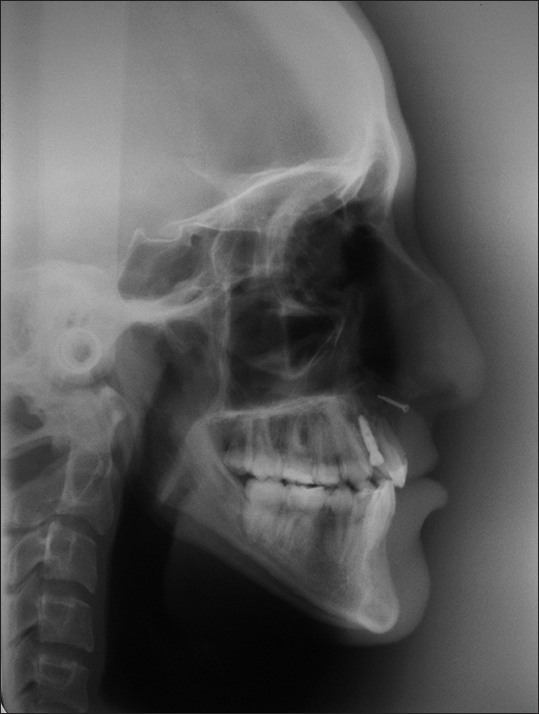 Patient had normal morphology of the condylar head and neck with no apparent bony pathologies and normal maxillary sinus borders. All permanent teeth were present except maxillary right third molar and left lateral incisor. There was a bony defect in the area of the missing maxillary left lateral incisor [Figure 4] and [Figure 5]. 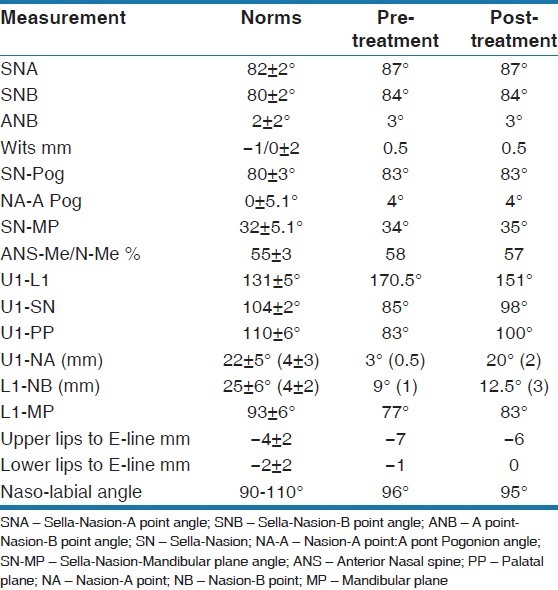 Cephalometrically, the patient had skeletal Class I relationship, average mandibular plane angle, normal lower facial height, retroclined and retruded upper and lower incisors and retruded upper lip relative to E-line [Figure 6] and [Table 1]. The main goals of the treatment were: To correct the arch forms, resolve crowding, achieve class I molar and canine relationships with adequate intercuspation and correction of midlines, and to augment the defected bone via alveolar bone graft to restore the missing upper left lateral incisor with a dental implant and finally to restore the esthetic appearance of anterior teeth. Treatment steps included the following: Extraction of maxillary first premolars, mandibular left second premolar and the right first premolars, the use of temporary anchorage device (TAD) to distalize mandibular right first molar to resolve the crowding, leveling and alignment, creation of adequate space for ABG in cleft area and a dental implant supported crown to replace the missing maxillary left lateral incisor and composite buildup of upper incisors and canines to correct the anterior tooth size deficiency. Extraction of the mandibular first molars can be considered as an alternative treatment option for the mandibular arch; to resolve crowding in addition to the use of TAD to retract displaced mandibular premolars and to protract mandibular second molars, which is time consuming. 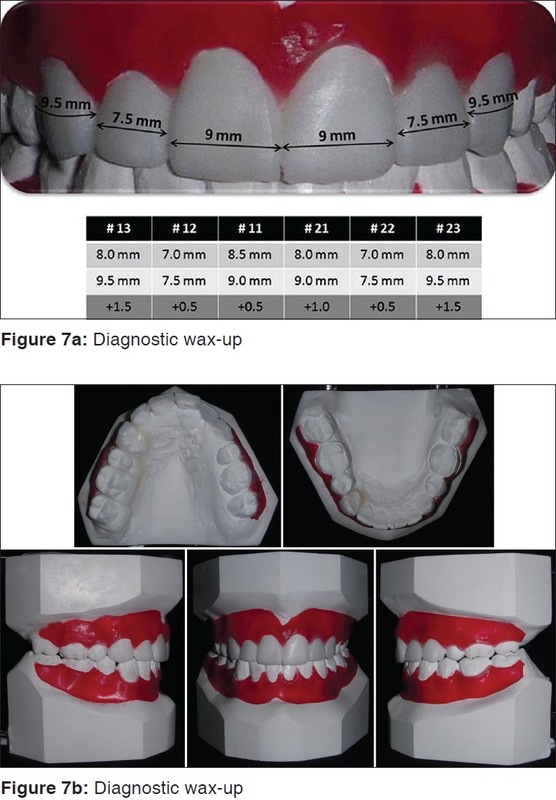 Diagnostic wax up was used to plan the final occlusion, the required spaces that needed to be created to correct the tooth size discrepancy [Figure 7]a and b. 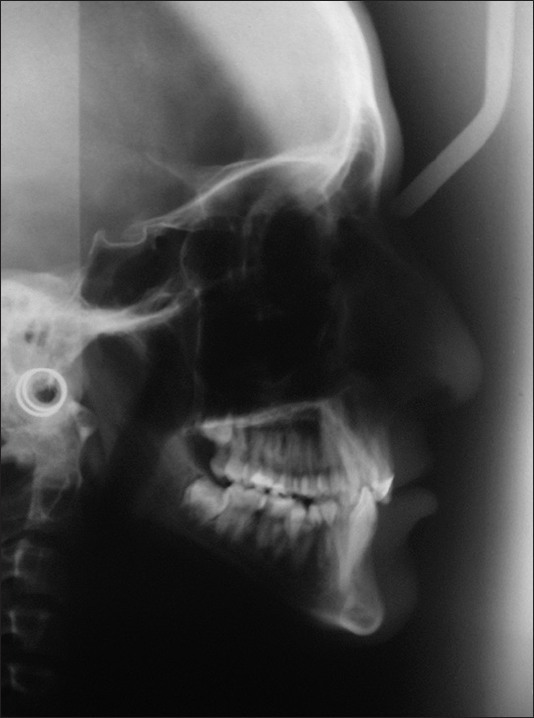 After extractions, the patient received a preadjusted edgewise appliance (0.022-inch, Roth prescription, Gemini Metal Brackets, 3M Unitek, Monrovia, CA, USA). Leveling and alignment was accomplished with a series of NiTi and stainless steel (S.S.) archwires. TAD (OrthoEasy-Pin system, Forestadent, Pforzheim, Germany) 1.7 mm in diameter and 6 mm in length with a slot head (0.022-inch), was placed in the mandibular arch between the lower right canine and lateral incisor. A 0.019 × 0.025-inch S.S. archwire was bonded to the miniscrews using flowable composite with the other end inserted in the molar auxiliary tube. Active open coil spring (3M Unitek, Monrovia, CA, USA) was inserted between the first molar and the minscrew. Crimpable hooks were used to activate the coil spring. Once adequate space was created, the miniscrew was removed [Figure 8]a and b. The space of the upper left lateral incisor was opened using open coil spring; ABG was performed using an iliac bone graft. The upper canines were retracted using elastomeric chains that were changed every 3 weeks. Molar and canine relationships were corrected; anterior spaces were redistributed to allow the restorative dentist correcting the tooth size discrepancy by a composite build-up of maxillary right canine, lateral incisor, central incisor, left canine and crowning of upper left central incisor. Patient was referred to the periodontist where a dental implant (3.0 mm × 11 mm; Astra Tech, Dentsply, Molndal, Sweden) was placed with simultaneous bone grafting and absorbable membrane (BioMend collagen membrane, Zimmer Dental) to correct the buccal bone concavity. After 4 months; the case was debonded, with upper and lower Essix retainers for retention. Composite restorations of maxillary anterior teeth were done and placement of the healing abutment in the area of missing maxillary left lateral incisor; the final crown was cemented after 4 week period to allow the soft-tissue healing. Finally, upper and lower wraparound removable retainers and lower fixed retainer from canine to canine were used for retention. The occlusal radiographs and conebeam CT orthogonal slicing at 22.2 mm depth showed the bone defect in the cleft side before the ABG, and the intact bone after [Figure 9]a and b. The post-treatment records showed that the treatment objectives were achieved [Figure 10]a-d. The case was finished with ideal overbite and overjet. The arches were well-coordinated. The maxillary and mandibular dental midlines were coincident with the facial midline. The Bolton discrepancy was corrected and the missing upper left lateral incisor was restored with a dental implant supported crown. Final cephalometric radiograph showed insignificant changes except for the proclination of the upper and lower incisors [Table 1] and [Figure 11]. 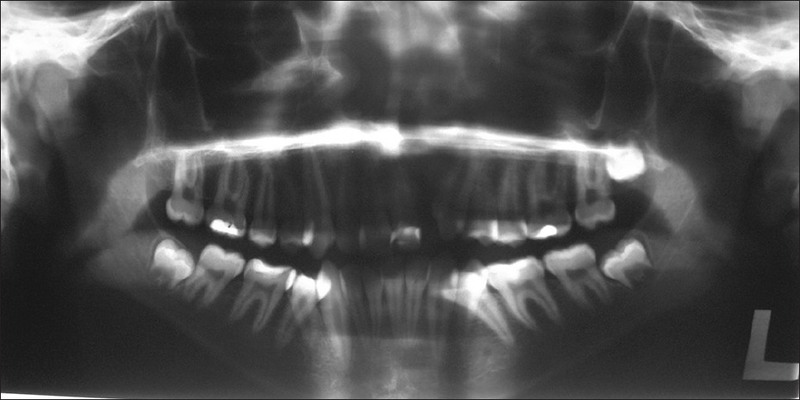 Superimposition shows mesial movement of the upper first molar 4 mm, proclination of upper incisors, distal movement of lower first molar 2 mm and proclination of lower incisors [Figure 12]. CLP team which consists of different medical professionals is essential to achievetreatment outcome. In our case, the team involved in the treatment was from different dental specialties as all other medical problems were managed before the start of orthodontic treatment and the absence of fully integrated CLP team at the center which provides the treatment to the patient. Maxillary deficiency in the transverse plane of space often accompanies the cleft palate, and maxillary arch expansion is almost always a part of the general treatment protocol in the management of the unilateral cleft palate. In our patient, maxillary arch was not constricted and archwires were enough to correct the maxillary arch form. ABG is considered as an integral part of the management of CLP since alveolar defects affect about 75% , of the patients. Bone grafting was performed after orthodontic space opening of the cleft site, and autogenous bone graft from the iliac crest bone was used with an open approach. Bone from the iliac crest is easy to access and large quantities of cancellous bone containing osteogenic cells that can support osteogenesis in the early days of healing can be harvested. Two studies concluded that harvesting bone from the iliac crest bone appears to be well tolerated by patients, has few complications, two teams can operate simultaneously which reduces operating time, gives aesthetically acceptable scars at the donor site and the hospital stay is a mean of three days. , Iliac crest remains the most popular donor site, being favored by 87% of European and 83% of North- American teams. , Although the patient had received autogenous bone graft to correct the alveolar defect; yet, at the time of implant placement bone graft was used again with absorbable membrane to correct the buccal bone defect. During the last two decades, miniscrews were introduced to orthodontic specialty and currently, miniscrews are successfully used on different orthodontic situations. ,,,,,,,,,,, As the space gained through extracting the lower second premolar was not enough to relief the crowding (16 mm) and to correct the severe asymmetry of mandibular arch where the right buccal segment is positioned more forward than the left one, TAD were used to control anchorage during distalization of the lower first molar and create adequate space to resolve the crowding. Absolute anchorage provided by the TADs allows the orthodontist to accurately plan tooth movement. The force on the first molar was both distal and extrusive because of the orientation of the wire extending from the miniscrew and the tooth. This could have been avoided by correcting the orientation of the wire; fortunately, the presence of deep bite helped to mask this effect. After debonding; several upper Essix retainers were made to retain the results, after the composite build up and placing the healing abutment the old Essix retainer had to be changed with a new one; also, after cementing the final crown of the upper left lateral incisor, a new retainer was made before constructing the final wraparound retainers. The upper left central incisor was under-torqued but this was corrected with the porcelain metal crown. The prosthetic restoration of the missing tooth involved two options; fixed partial denture (FPD) and dental implant. Implant was chosen over the FPD because of the higher success rate and not to adversely affect the adjacent teeth with preparation. After 8 months of retention, the results have been found to be stable [Figure 13]. The interdisciplinary approach is the key factor to successfully treat cleft patients. 1. Tolarova MM. Etiology of clefts of lip and/or palate: 23 years of genetic follow-up in 3660 individual cases. In: Pfeifer G, editor. Craniofacial Abnormalities and Clefts of the Lip, Alveolus, and Palate. Stuttgart: Thieme; 1991. 2. Tolarová MM, Cervenka J. Classification and birth prevalence of orofacial clefts. Am J Med Genet 1998;75:126-37. 3. Olin WH. Dental anomalies in cleft lip and cleft palate patients. Angle Orthod 1964;34:119-23. 4. Ranta R, Tulensalo T. Symmetry and combinations of hypodontia in non-cleft and cleft palate children. Scand J Dent Res 1988;96:1-8. 5. Kang JH, Kang JS, Son WS. A study of the frequency of congenital missing and supernumerary teeth in cleft lip and palate patients. Korean J Orthod 1993;23:319-26. 6. Tindlund RS, Rygh P, Bøe OE. Orthopedic protraction of the upper jaw in cleft lip and palate patients during the deciduous and mixed dentition periods in comparison with normal growth and development. Cleft Palate Craniofac J 1993;30:182-94. 7. Witsenburg B. The reconstruction of anterior residual bone defects in patients with cleft lip, alveolus and palate. A review. J Maxillofac Surg 1985;13:197-208. 8. Nylén B, Körlof B, Arnander C, Leanderson R, Barr B, Nordin KE. Primary, early bone grafting in complete grafts of the lip and palate. A follow-up study of 53 cases. Scand J Plast Reconstr Surg 1974;8:79-87. 9. Boyne PJ, Sands NR. Secondary bone grafting of residual alveolar and palatal clefts. J Oral Surg 1972;30:87-92. 10. Pfeifer G. Primary bone grafting discontinued evaluation of the hamburg approach. In: Hotz M, Gnoinski W, Perko M, Nussbaumer H, Hoff E, Haubensak R, editors. Early Treatment of Cleft Lip and Palate. Bern-Stuttgart: Hans Huber; 1986. p. 90. 11. Bertz JE. Bone grafting of alveolar clefts. J Oral Surg 1981;39:874-7. 12. Ronchi P, Chiapasco M, Frattini D. Endosseous implants for prosthetic rehabilitation in bone grafted alveolar clefts. J Craniomaxillofac Surg 1995;23:382-6. 13. Takahashi T, Fukuda M, Yamaguchi T, Kochi S. Use of endosseous implants for dental reconstruction of patients with grafted alveolar clefts. J Oral Maxillofac Surg 1997;55:576-83. 14. Triplett RG, Schow SR. Autologous bone grafts and endosseous implants: Complementary techniques. J Oral Maxillofac Surg 1996;54:486-94. 15. de Barros Ferreira S, Esper LA, Sbrana MC, Ribeiro IW, de Almeida AL. Survival of dental implants in the cleft area-a retrospective study. Cleft Palate Craniofac J 2010;47:586-90. 16. Matsui Y, Ohno K, Nishimura A, Shirota T, Kim S, Miyashita H. Long-term study of dental implants placed into alveolar cleft sites. Cleft Palate Craniofac J 2007;44:444-7. 17. Cash AC. 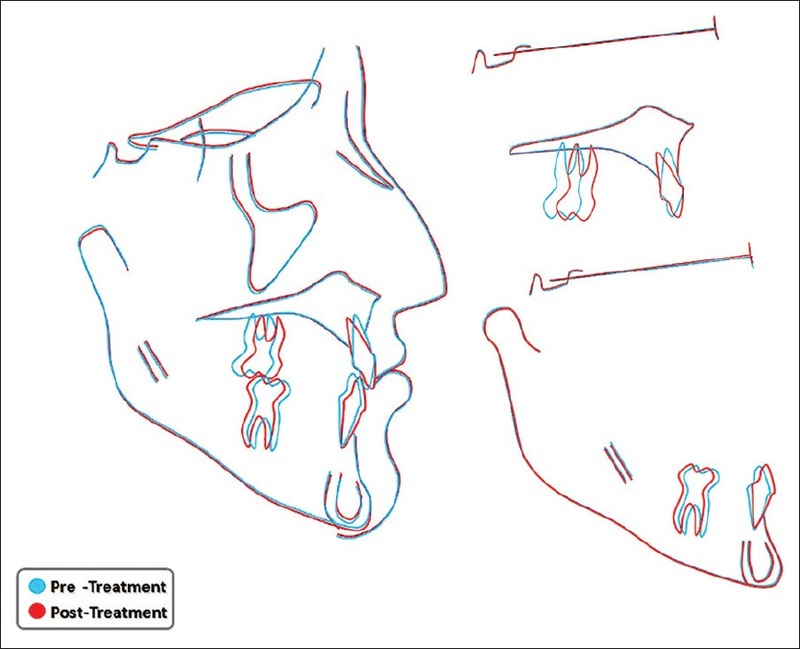 Orthodontic treatment in the management of cleft lip and palate. Front Oral Biol. 2012;16:111-23. 18. Hyo-Won Ahn, Keun-Woo Kim, Il-Hyung Yang, Jin-Young Choi, and Seung-Hak Baek. Comparison of the effects of maxillary protraction using facemask and miniplate anchorage between unilateral and bilateral cleft lip and palate patients. The Angle Orthodontist: September 2012, Vol. 82, No. 5, pp. 935-941. 19. Malcolm C, Johnston P. Embryogenesis of cleft lip and palate. In: McCarty JG, editor. Plastic Surgery. Cleft Lip and Palate and Craniofacial Anomalies. Vol. 4. Philadelphia PA: Saunders; 1990. p. 2532. 20. Cohen M, Polley JW, Figueroa AA. Secondary (intermediate) alveolar bone grafting. Clin Plast Surg 1993;20:691-705. 21. Swan MC, Goodacre TE: Morbidity at the iliac crest donor site following bone grafting of the cleft alveolus. Br J Oral Maxillofac Surg 2006;44:129-33. 22. Baqain ZH, Anabtawi M, Karaky AA, Malkawi Z: Morbidity from anterior iliac crest bone harvesting for secondary alveolar bone grafting: An outcome assessment study. J Oral Maxillofac Surg 2009;67:570-5. 23. Shaw WC, Semb G, Nelson P, Brattström V, Mølsted K, Prahl- Andersen B: The Eurocleft Project 1996-2000. Standards for Care for Cleft Lip and Palate. Amsterdam, IOS Press, 2000. 24. Murthy AS, Lehman J: Evaluation of alveolar bone grafting: A survey of ACPA teams. Cleft Palate Craniofac J 2005;42:99-101. 25. Boyne PJ. Advances in preprosthetic surgery and implantation. Curr Opin Dent 1991;1:277-81. 26. Kearns G, Perrott DH, Sharma A, Kaban LB, Vargervik K. Placement of endosseous implants in grafted alveolar clefts. Cleft Palate Craniofac J 1997;34:520-5. 27. Al-Fraidi A, Afify AR. 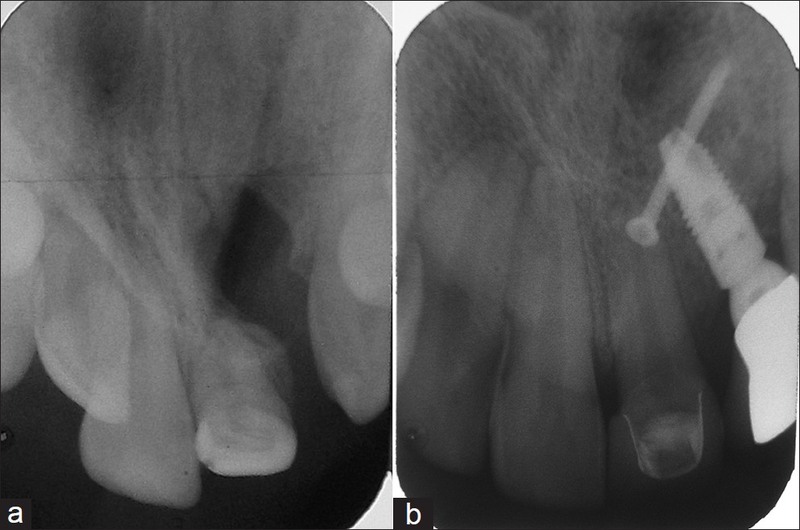 Unusual treatment of bimaxillary dentoalveolar protrusion via miniscrews and molar extraction. J Orthod Sci 2012;1:51-7. 28. Sugawara J, Daimaruya T, Umemori M, Nagasaka H, Takahashi I, Kawamura H, et al. Distal movement of mandibular molars in adult patients with the skeletal anchorage system. Am J Orthod Dentofacial Orthop 2004;125:130-8. 29. Choi BH, Zhu SJ, Kim YH. 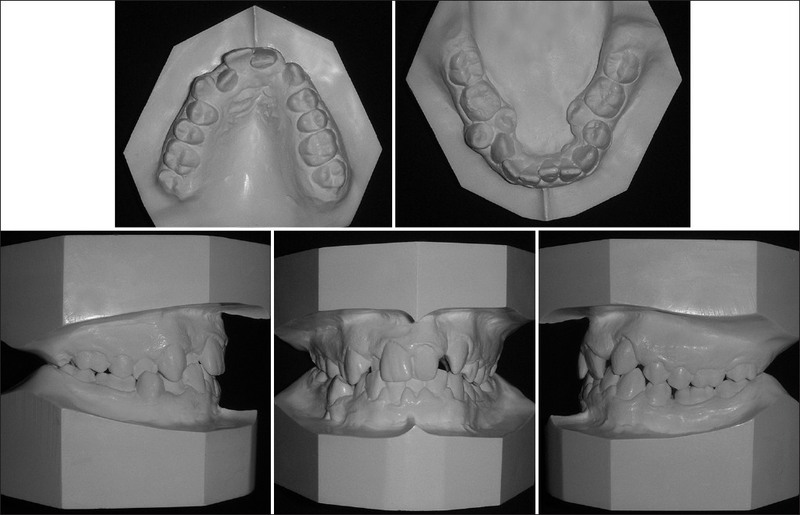 A clinical evaluation of titanium miniplates as anchors for orthodontic treatment. Am J Orthod Dentofacial Orthop 2005;128:382-4. 30. Park HS, Kwon TG. Sliding mechanics with microscrew implant anchorage. Angle Orthod 2004;74:703-10. 31. Park HS, Lee SK, Kwon OW. 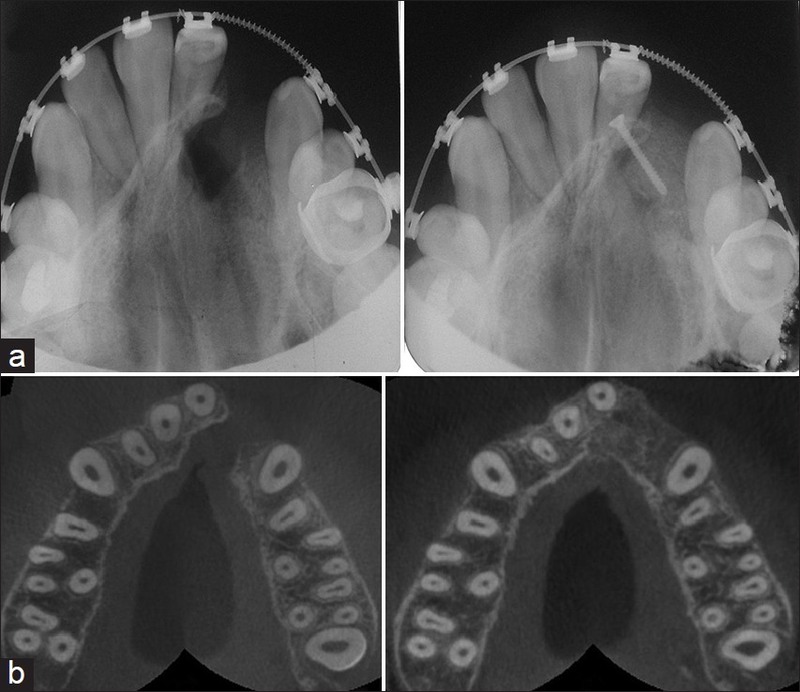 Group distal movement of teeth using microscrew implant anchorage. Angle Orthod 2005;75:602-9. 32. Erverdi N, Acar A. Zygomatic anchorage for en masse retraction in the treatment of severe Class II division 1. Angle Orthod 2005;75:483-90. 33. Carano A, Velo S, Leone P, Siciliani G. Clinical applications of the Miniscrew Anchorage System. J Clin Orthod 2005;39:9-24. 34. Yao CC, Lai EH, Chang JZ, Chen I, Chen YJ. Comparison of treatment outcomes between skeletal anchorage and extraoral anchorage in adults with maxillary dentoalveolar protrusion. Am J Orthod Dentofacial Orthop 2008;134:615-24. 35. Kuroda S, Sugawara Y, Tamamura N, Takano-Yamamoto T. Anterior open bite with temporomandibular disorder treated with titanium screw anchorage: Evaluation of morphological and functional improvement. Am J Orthod Dentofacial Orthop 2007;131:550-60. 36. 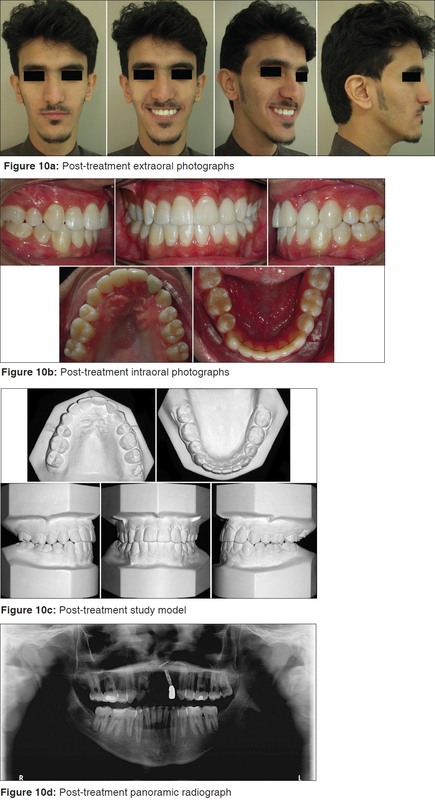 Kuroda S, Yamada K, Deguchi T, Kyung HM, Takano-Yamamoto T. Class II malocclusion treated with miniscrew anchorage: Comparison with traditional orthodontic mechanics outcomes. Am J Orthod Dentofacial Orthop 2009;135:302-9. 37. Papadopoulos MA. Orthodontic treatment of Class II malocclusion with miniscrew implants. Am J Orthod Dentofacial Orthop 2008;134:604.e1-16;604. 38. Al-Fraidi AA, Zawawi KH. Clinical showcase. 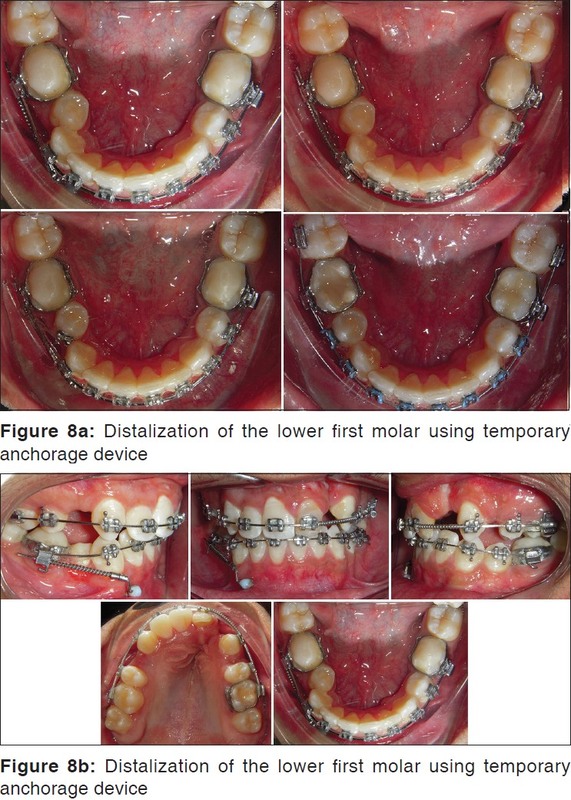 Selective intrusion of overerupted upper first molars using a temporary anchorage device: Case report. J Can Dent Assoc 2010;76:a9.